When Robert Capa conceived of Magnum Photos I suspect he had no idea what it would become. Founded in 1947 by Capa and Cartier-Bresson, among several others, Magnum has become a rallying place for excellence in photojournalism. Notable members over the years include Ansel Adams, Dorothea Lange, Eve Arnold, Steve McCurry, Elliott Erwitt, Ernst Haas, Don McCullin, W. Eugene Smith, and Sebastiao Salgado, among many others. 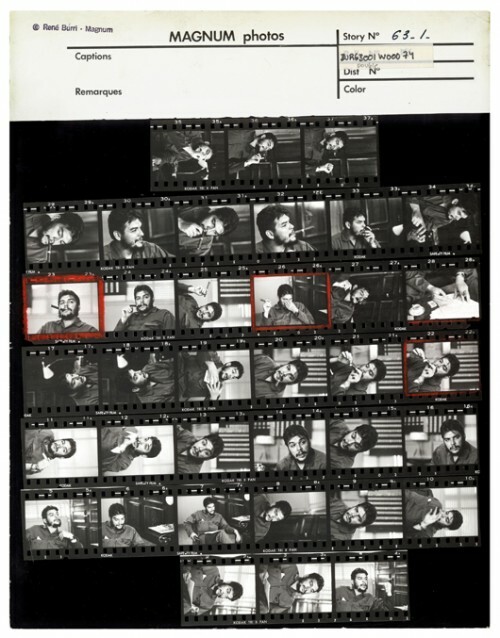 One of the best resources I’ve found for looking at the work of these photographers is Magnum Contact Sheet. It’s one of my all-time favourites, not only for the great photography, but for what almost all the other books don’t show you – the outtakes. Magnum Contact Sheet is a killer study in context and if you’re willing to pour over the thousands of images in this book you’ll learn something about the process of making photographs that you won’t learn in many places. Many of my own students have told me how instructive it’s been when I’ve pulled back the curtain and shown the sketch images and false starts that got me to my final work, imagine being able to do this with a handful of master photographers from the last century. Magnum Contact Sheet is a masterclass in iconic storytelling photography, and while it’s not cheap, it’s huge (508 pages, it weighs 10lbs) and will give you years of pleasure, inspiration, and – if you study it mindfully – instruction. It’s available from Amazon here. Of course, you might be able to get this at the library, though this is one book I go back to and will always have on my shelf, but you can also find so much of the work of Magnum Photographers online with a little time spent with Google. You can also find much inspiration here on the MagnumPhotos.com site. Unless I misread your post, you failed to mention the online web site: magnumphotos.com which I find to be a marvelous resource at the right price (free). You’re right, I can’t believe I forgot to drop that link in. I’ll fix it as soon as I’m at my computer. Thanks, Bill! I am tempted to try film again and to rekindle old memories of the darkroom. Editing from contact sheets is hard to beat. I don’t want to miss this book in my library. Having access to all the images on the contact sheets is very helpful to understand the ‘process’ and context of how the selected images were created. What you did not mention are the texts from the photographer or people from Magnum, which provide further background information. I had the chance to see an exibition* of Michel Comte with many of his famos celebrity portraits in conjunction with the contact sheets. It was amazing. David mentioned this book on a trip to Oaxaca we were on and I immediate ordered it. It is truly one of the treasures in my library. Inspiring and educational. Worth every penny. David, I loved your book and it has led me to this website and your podcast, but I feel like I have to make a comment on this book. 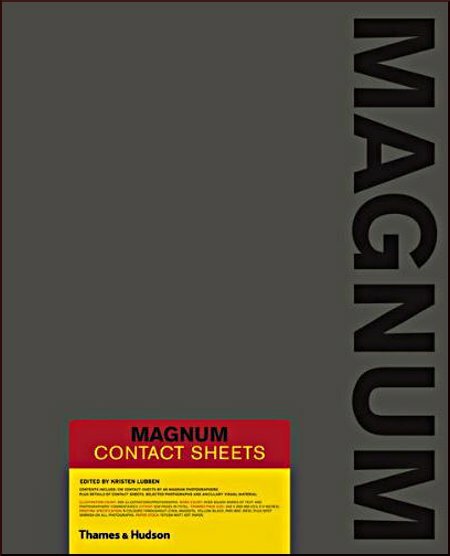 I’ve ordered Magnum Contact Sheets from Amazon after hearing it being recommended by many trusted authors, such as yourself, and other online sources. I absolutely loved the idea of getting a glimpse into the process of each photographer, and seeing the steps they took until they’ve reached their photo, as well as their selection process. When the book arrived I was thoroughly disappointed. I may be ignorant here, and please enlighten me if so, but I’ve found zero inspiration or insight about composition or the art of photography in this book. On the other hand I’ve found a tremendous and disturbing amount of corpses, war photos and controversy. What am I to learn of this that will improve my photography? I completely understand the purpose of Magnum and have total respect for all of those photographers who have involved themselves with those events and thanks to whom we have knowledge and insight into important points in history, but I think that is the value of Magnum photography, and not art. I have returned this book the next day and am still puzzled why this book is recommended in the context that it is. I’m keen to hear what others would have to say about my feelings on this book. I am (very) new to photography and am trying to learn, but to me, this wasn’t a venture into photography, but more into documentary. This could be, on the other hand, slightly insightful to photojournalism… Personally I’ve found something like Jay Maisel’s “Light, Color, Gesture” was more to my taste. Gabriel – I’m sorry to hear about your disappointment. I guess we all respond to different books in different ways, and I suspect if you are so new to photography that yes, a book like Maisel’s might be more immediately helpful. It’s curious to me that you are separating “photography” from “documentary” when so much of photography is documentary in nature. For the documentary photographer this book will hold special appeal, but it’s the same visual language and the study of this book provides a glimpse into the work and process of some of the masters of 20th century photography. We get out of a book what we are looking for and it could be that you, right now, are looking for more direct teaching on the the how and why of photography. The day will come for you, I hope soon, when you will begin to find great value in studying the work of other photographers – and this book gives a rare look at that work – all of it – in context. It’s also an interesting study on editing and the process of not only making images but selecting them. In the end it’s fine if this book doesn’t work for for now. One day it might. For me it remains one of my favourites.